Dreams of honeymooning in Morocco with the everyday on the coast of Virginia have married together for this beautiful oceanside wedding inspiration. If you can't get to north Africa, then bring the style of mystical Morocco to you! 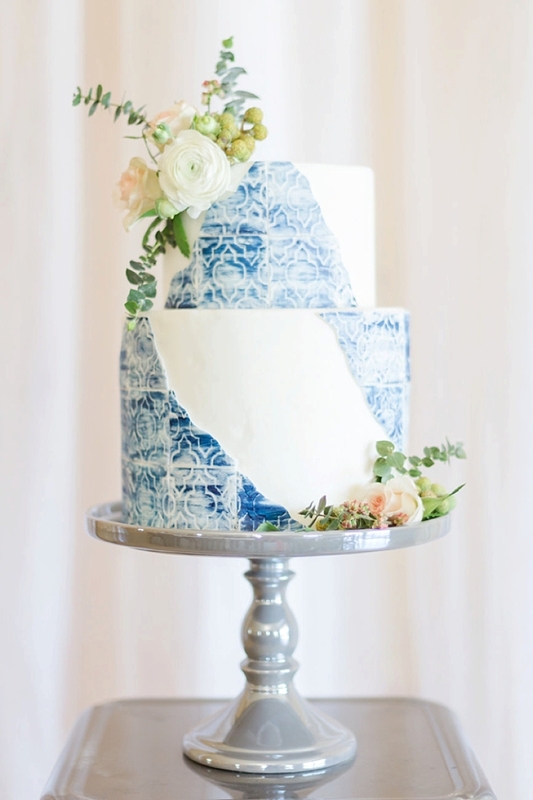 From time-worn tiles transformed into cake loveliness to boho chic reception seating with patterned poufs, the idea possibilities are endless in a sea of blue. Looking for more coastal boho styled goodies?